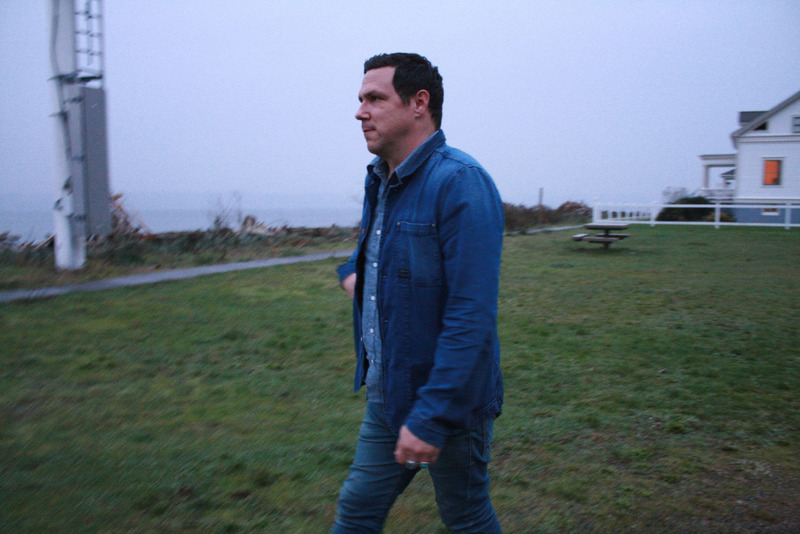 Damien Jurado’s ‘Brothers And Sisters Of The Eternal Sun’ was one of the finest albums of 2014, not bad for a man releasing his lucky 13th solo album (and his eighth on the predictably reliable Secret Canadian label). Now he’s back with a new album ‘Visions Of Us On The Land’ which completes the cosmic trilogy that began in 2012 with ‘Maraqopa’ – the tour for which included his last visit to Brighton. ‘Visions Of Us On The Land’ was again recorded by Richard Swift, an excellent recording artist in his own right, in his Oregon studio. It’s described as “the ideal entry point for neophytes and an intoxicating aural high for the faithful”. Like all great art, it’s about “life and death and love and freedom”. Launch song ‘Exit 353’ is an intriguing introduction – epic, cinematic, yet downbeat and dank in a North Western style. On record Jurado is a fascinating endeavour, occasionally compared to Neil Young in style but very much a unique and haunting player. This European tour should be a thrilling opportunity to see him performing his raw, spiritual, intimate songs in person.